Contemporary Indian Photography is in the Air! | Skinner Inc. Contemporary Indian Photography is in the Air! There have been a number of thought-provoking exhibitions of contemporary Indian photography around the country recently. Artists working in India as well as those from the South Asian diaspora are creating socially engaged works that challenge and complicate ideas around such issues as culture, identity, gender, race, stereotypes, modernity, and high and low art. The market for modern and contemporary Indian art is growing, and with demand rising for diversity across media, photography is coming into the spotlight! 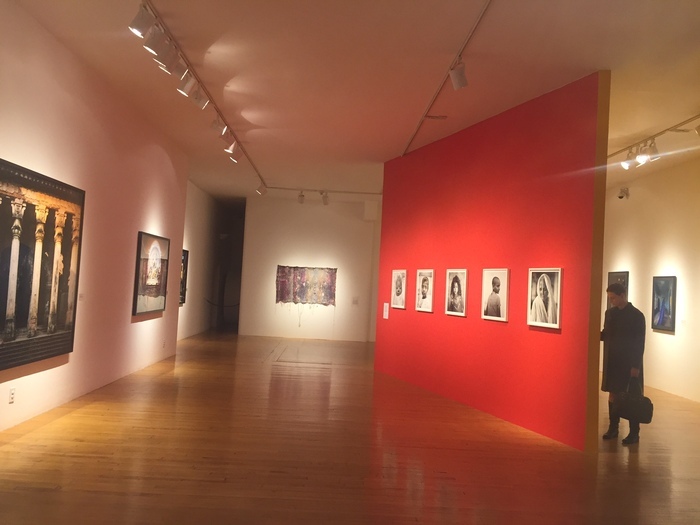 Leading the way is the exhibition Postdate: Photography and Inherited History in India (February 5–August 2, 2015) at the San Jose Museum of Art. 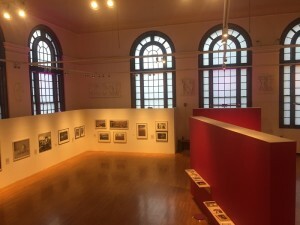 The South Asian artists selected for the exhibition mine historical photography in India, particularly those images that reflect the legacy of the British occupation. Source material for their post-colonial approaches to image-making include studio and family portraiture, tourist postcards, photographic documents from archaeological surveys, and Bollywood film stills. 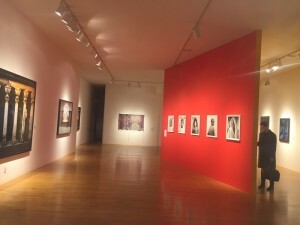 Works by Nandan Ghiya, Jitish Kallat, Raqs Media Collective, and Vivan Sundaram, among others, were exhibited, and the catalogue was published by the University of California Press. You can see two exhibitions of Indian photography right here in Boston. Currently on view through December 5 at the Massachusetts College of Art’s Sandra and David Bakalar Gallery is Seeing the Elephant. The show features a strong selection of international contemporary artists, including Michael Bühler-Rose, Neha Choksi, and Fazal Sheikh, whose work explores a wide range of topics facing India today. Tara Kelton, an artist based in Brooklyn and Bangalore, is represented by a video piece titled “Time Lapse” (2014) which stitches together Google map images that follow a security guard on his rounds at the Taj Mahal. The intriguing work comments on how technology shifts the ways in which we perceive the world around us. Boston photographer Laura McPhee has been visiting India since 1998, and has returned regularly to Kolkata (formerly Calcutta). McPhee captures examples of vernacular architecture as a way of exploring the relationship between the native and colonial cultures that are part of the city’s legacy. 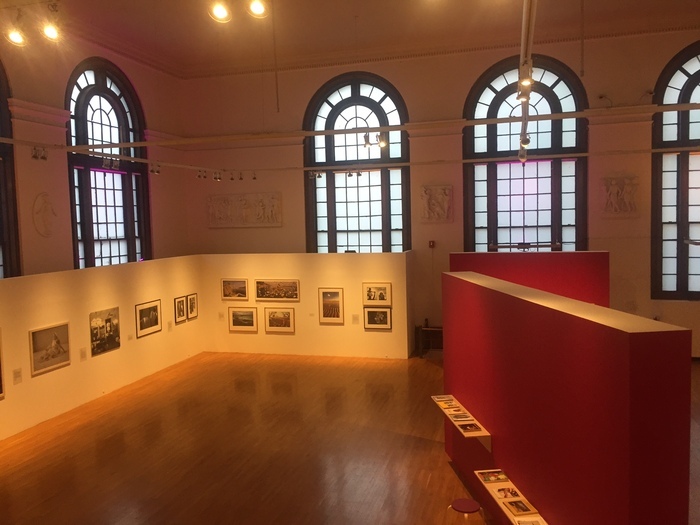 Several of McPhee’s large-scale photographs are included in “Seeing the Elephant,” and related works were also recently on view at Carroll & Sons in Boston’s SoWa gallery district. Looking In/Looking Out: Contemporary Indian Photography From The Gaur Collection in Mass Art’s Stephen D. Paine Gallery through December 15 features the work of nineteen photographers, including Atul Bhalla, Raghu Rai, and Dayanita Singh, drawn from one of the largest collections of modern and contemporary Indian art in the United States. “Whether navigating personal revelations and pasts, embracing cultural contradictions, or investigating the political complexities of a nation in the midst of rapid change,” the exhibition curators note, “these artists reflect on life in the subcontinent and offer their unique perspectives through narrative, portrait, performance, and street photography.” One of the most intriguing projects is Pushpamala N’s “Pops” series in which she portrays herself as ubiquitous stereotypes and recognized figures from pop culture, cinema, and everyday life in an attempt to deconstruct the idea of the native type through fantasy and subversive humor. Also included in the collection is Rhode Island-based photographer and video artist Annu Palakannathu Matthew, who recently had a one-person show at the Royal Ontario Museum in Toronto. A retrospective of her work is currently on view at sepiaEYE in New York through December 26. Matthew was born in England, raised in India, and now lives in the United States. Her mixed or ‘masala’ background continually shapes her photographic projects, which explore themes of belonging and immigration. Finally, opening December 6 at the Philadelphia Museum of Art is Picture This: Contemporary Photography and India. The four artists—Gauri Gill, Sunil Gupta, Max Pinckers, and Pamela Singh—in this exhibition represent cross-cultural perspectives that don’t fit easily into insider and outsider categories. The field of contemporary Indian photography is rich in its diversity of imagery and conceptual projects so don’t miss the opportunity to explore these exciting exhibitions online or in person! This entry was posted in Blog and tagged contemporary photography, India, Indian, Photography by Michelle Lamunière. Bookmark the permalink.